TRUST ME... I KNOW WHAT I'M DOING! 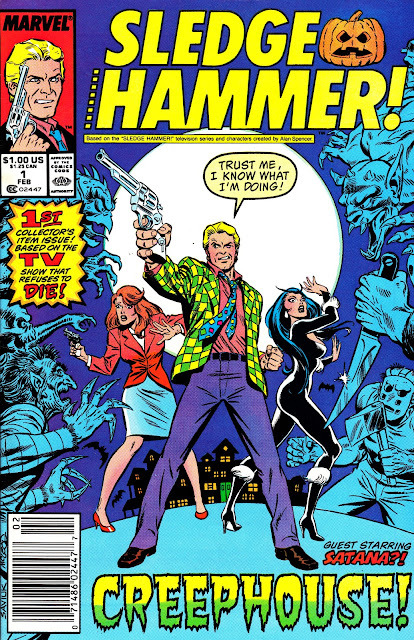 He's another in the surprisingly small number of examples of corporate synergy between Marvel Comics and their mid-eighties Hollywood owner New World Pictures: SLEDGE HAMMER! 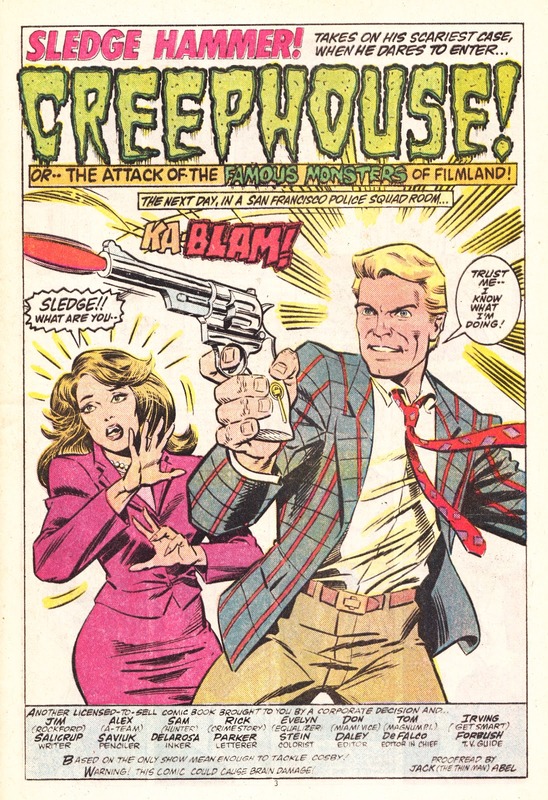 the comic book. 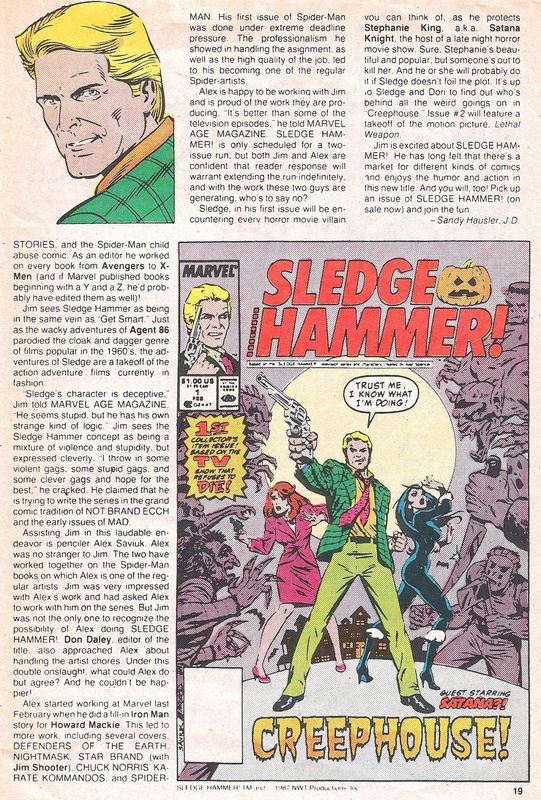 I've covered some of their other tie-ups in previous posts (most notably ONCE A HERO/ CAPTAIN JUSTICE) and I've been meaning to cover Sledge (surely the greatest show, amongst several great shows, to emerge from the New World TV factory) since I started but never quite got around to it... until today. 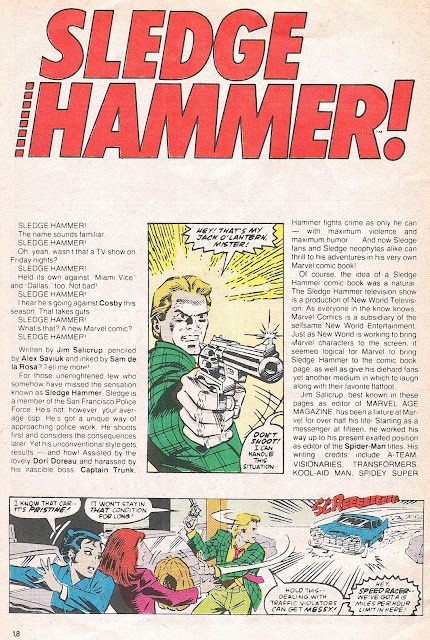 SLEDGE HAMMER!, a Dirty Harry/ Hunter spoof from the hilarious mind of Alan Spencer, wasn't an obvious choice for a four colour adaptation (and - arguably - the end results aren't much -ahem - cop) but Marvel New York must have been desperate to impress their new corporate paymasters. This two-issue limited series (although the covers don't mention that, suggesting that Marvel might have been prepared to plough-on with more if sales had been more stellar) appeared in the Fall of 1987, coinciding with the low-rated show's unexpected second season on ABC. Fair to say, it seems everyone involved with the show expected it to be canned after its inaugural season (it bowed-out with one of TV's all-time great OTT cliffhangers) and renewal came as something of a surprise. 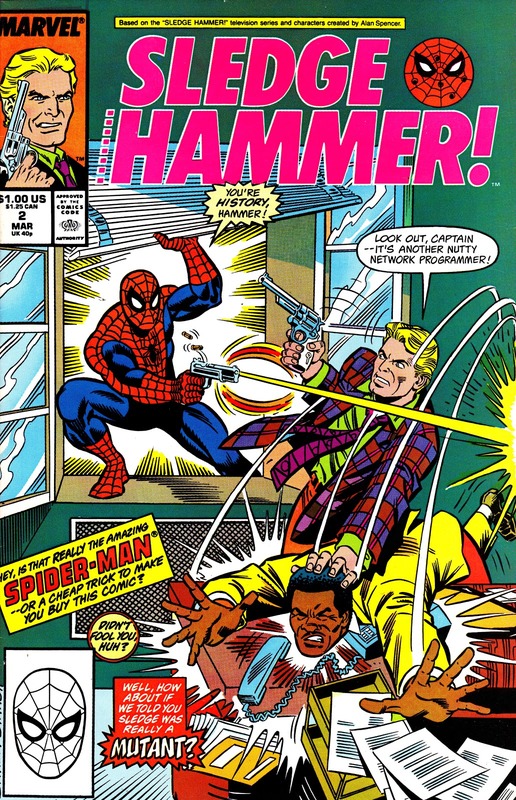 New World, already beginning to experience the cash-flow problems that would cause it to sell Marvel, cut budgets on Year Two to the bone. Generally, the second season seldom reaches the heady heights of the first year... but there is still plenty to enjoy. 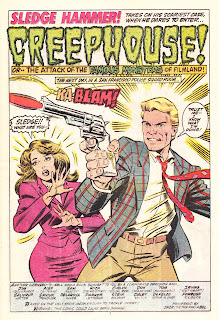 Marvel's first issue spoofs the sort of low-budget horror flicks that New World's theatrical and VHS divisions were churning out whilst the second issue turns its attention to Marvel's own heroes, possibly in a desperate attempt to gain some traction in comic book stores. 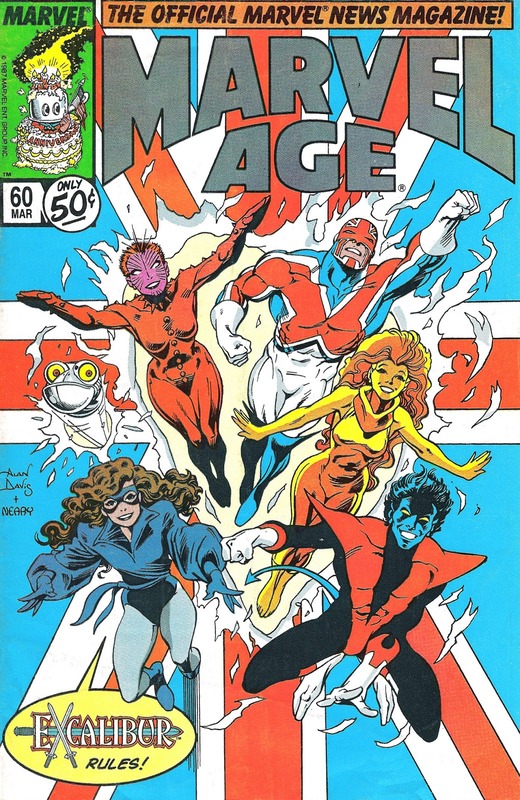 MARVEL AGE MAGAZINE (issue 60, cover-dated March 1988) bundled in with the inevitable puff-piece, which you'll also find below. In my experience, very few copies reached the UK at the time (as a young Sledge fan, thanks to ITV running the show as part of their overnight schedules, I wanted anything Hammer-related I could get my hands on... and this was about the only thing on offer) although they do occasionally turn-up in the 50p bins. If you see them: grab them. The two seasons, with a nice selection of extras (including a warm tribute to recurrent second season director Bill - Hulk - Bixby), were released on DVD (although they may now be deleted on both sides of the Atlantic) and I recommend them without reservation.